A blend of CBD, healing herbs and essential oils. We have created the perfect blend of CBD (with NO THC), herbs and essential oils to soothe and heal your skin. Our 100mg CBD Salve is made with all natural, therapeutic grade ingredients. Breathe in the aroma of Eucalyptus, Comfrey Root, Lavender, and Rosemary and enjoy an immediate calm washing through your senses. Massage NN’s Salve generously into your skin to ease muscle and joint pain, inflammation, and relieve dry irritated skin. The healing properties of CBD, along with our essential oils and herbs, create the ideal combination to bring instant relief to your skin. Additionally, the CBD penetrates the skin to activate the endocannabinoid system; helping your body heal and speeding up recovery time from injuries. Our Salve will help with localized pain, bringing relief faster than ingested CBD. Our Salve is gentle enough for all ages and is to be used externally. 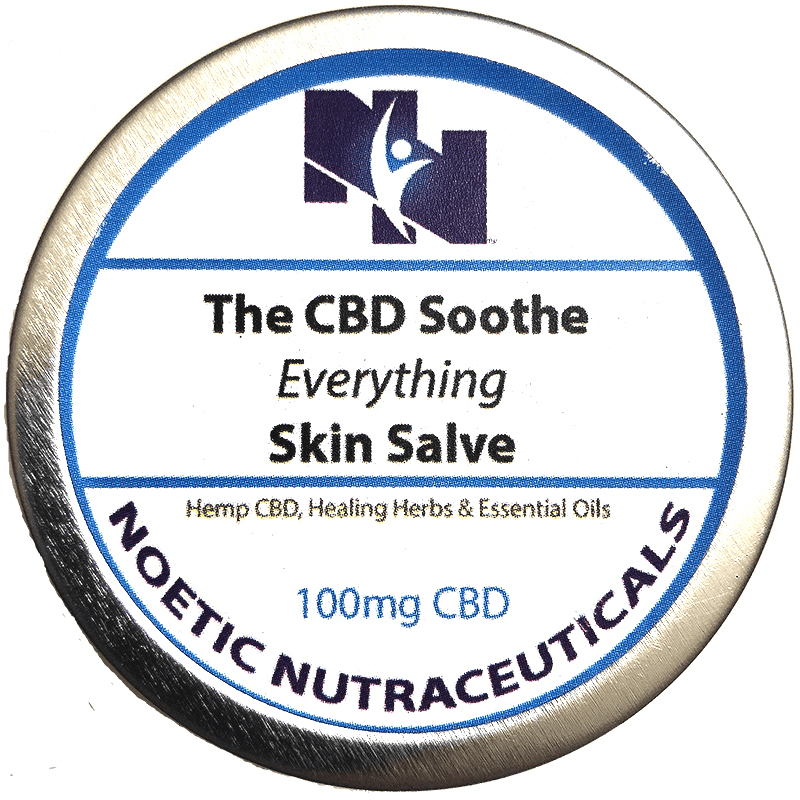 Massage Noetic Nutraceuticals blend of CBD Oil, Eucalyptus, Comfrey Root, and Lavender onto skin to ease muscle and joint pain, inflammation and relieve dry irritated skin.